It's easy to get caught up with the mountain scenery on the west side of Boulder. Miles of evergreens, mountain peaks, and canyons beckon hikers, climbers and photographers. Eastern Boulder Country has it's fair share of scenic gems as well, especially come fall. 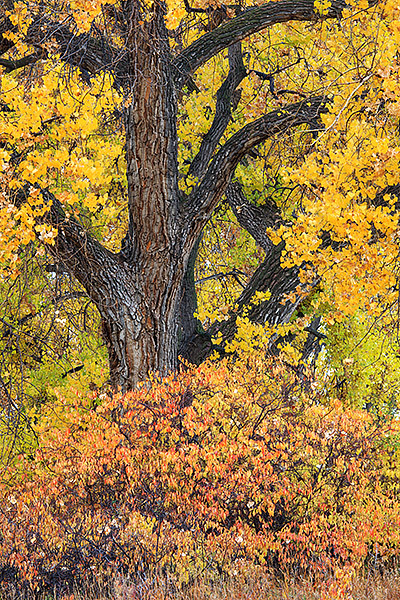 An old Cottonwood tree and some scrub make for a beautiful autumn palette on a misty fall morning on City of Boulder Open Space and Mountain Park's property east of the foothills. Photo © copyright by Thomas Mangan.